Lithgow Valley Kia offers a comprehensive range of Finance & Insurance packages for new and used motor vehicles. Whatever your requirements are talk to Lithgow Valley Kia about which Financing options are available for you. For an estimate of repayments please use our finance calculator provided. For information or to arrange an individual quotation please contact our Finance Department on (02) 6352-2644. 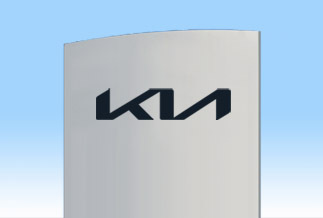 At Lithgow Valley Kia we offers a range of services to help you protect your investment. There are two car insurance options available: comprehensive and third-party property insurance. If you are financing your car with Esanda, you will need to organise comprehensive insurance. You could also consider loan insurance to cover your finance payments. Comprehensive insurance is insurance which covers motor vehicle accidents and damage to your vehicle as well as other vehicles and property. Third-party property insurance is insurance which covers damage that you or your vehicle may cause to 3rd party property but not to your own property. Loan Protection Insurance is insurance which can can protect you against unforeseen circumstances which can limit your ability to make loan repayments.